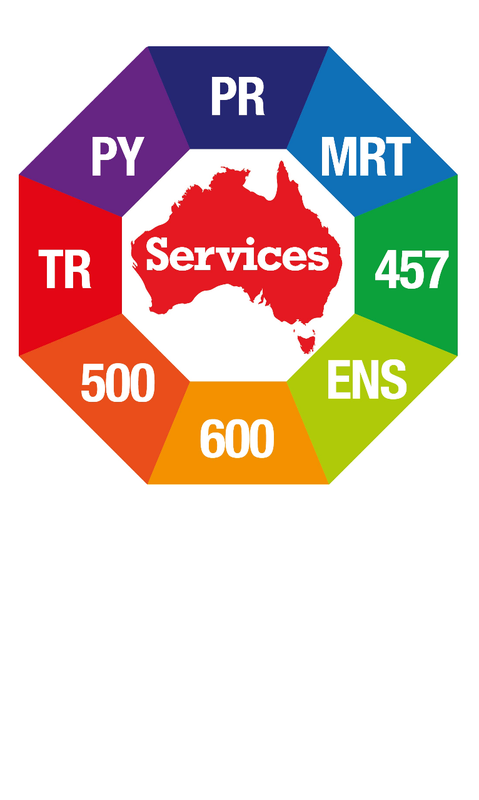 We assist you in all Australian visa documentation, application and all other associated matter. Visa refused or Cancelled? Don’t’ worry we can help: We represent your review application to AAT/MRT. Admission in your chosen course and provider. Let us plan a PR leading course for your secure future. 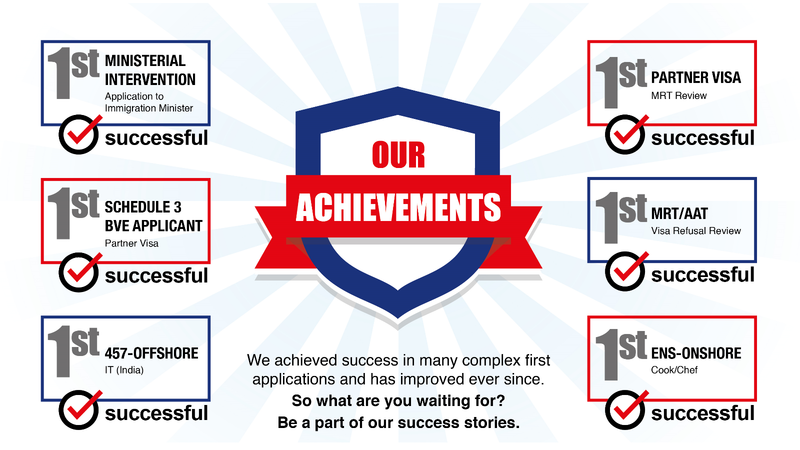 We have helped many complex cases and achieved success even in first applications so we could help you too. We will provide you with genuine and frank advice as to your situation and assess your possibility to the best of our knowledge and skills. We will plan for you and take any appropriate and timely action as required. We will lead you to a Permanent Residency. Our planning and prompt action will definitely lead you quicker and smoother in the race. Once we handle your case, you can relax, feel free and leave to us and we will take care of the rest. We act in a professional manner and commit to the professional standards. As a client and customer, we can expect due care and diligent from us. We are ‘Professionalism’ in our approach and are regarded as having ‘Up to date Knowledge’. We are ‘Transparency, upfront and Accountability’ to our client as to our advice and service. We have high regards to ‘Appropriate Planning and Timeliness’ to our action and clients needs and requirement. Our ‘Prompt and Accurate Advice and Action’ has obtained a lot of successful client visa stories. We are ‘Commitment to Service’ as a Registered Migration Agent. You can “Believe in Us’ for the ‘Right Advice in Right Time’ and ‘Required Action’ for you. I have been adviced by Residency Guide from many months. I never trusted any agency in Nepal and hence has been look after by Residency Guide. They have constantly provided with correct information, prompt advice and suggested in my best interest. Once here they have supported me with everything possible. Thank you Residency Guide team for all the support. Residency guide fulfilled my wish to go to Australia. I had 2 times student visa rejected. I loose my hope and thought my wish to go Australia is finished. But later i came to contact with residency guide, Hem dai, the head of Residensy Guide studied my case seriously and gave a different option. Many consultation didnt want to take my case because of 2 times rejection. Later, Residency Guide took my case and process every step very cearfully with strong documentation. I applied and got a visitor visa, i came to Australia, visited and returned back in time. Again i tried for australia and again my visa has granted. So, 2 times rejected man got 2 times visa because of residency guide. If you have any problem regarding visas, documentation, and further planning, please visit residency guide for best solution. They will lead you and give you a utmost solution. Thank you Residency Guide. I had gone to many consultancies before. Residency Guide is a professional migration service providing right advice and quality service. It's not about the price but right advice can make our future and change our life for ever. Thank you being there for us and helping us so far and in future.